"Knowing we’re both working toward our dreams with someone we trust 100 percent feels good. I’m excited to see more of what we can create together." A three-month backpacking trip through Southeast Asia in 2016 turned into entrepreneurial inspiration for sisters Joyce, an engineer, and Jenny Tse, an accountant. "We were struggling to decide which skincare products to fit into our small backpacks,” Joyce says. "We made the last-minute decision to only bring an oil blend with a few of our favorite plant oils, which functioned as a cleanser, makeup remover, beauty serum and facial, body and hair moisturizer. 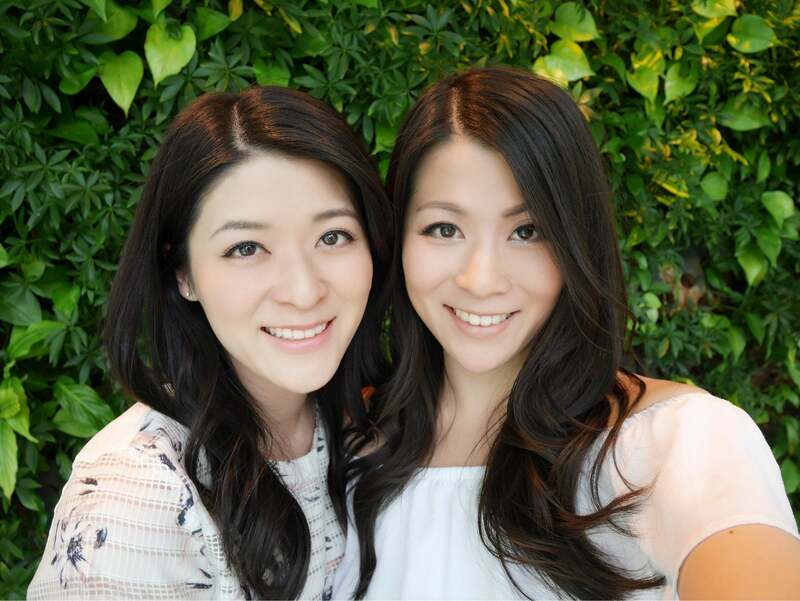 We were amazed that our skin actually improved throughout the trip." With that, Velvette Organics, a plant-oil-based beauty product line, was born. On the surface, the sisters, best friends and roommates are the perfect professional pair: Joyce tackled the business’s technical projects, while Jenny handed the finances. But they faced an unexpected challenge: staying focused. "The line between work and play is blurry," Joyce says. "A drive to visit one of our retailers might turn into a fun night of going out. Sometimes we get carried away and don’t get enough done." When their first product—a hair oil—didn’t sell well, they had to buckle down and devise a better plan. The result: a new line of six facial oils, a body oil and hair oil, all in smaller sizes. This time, their line went from being sold in two stores to 11. Compared to their first six months in business, their revenue shot up 650 percent—and they’ve seen a 920 percent increase in sales. For now, the sisters continue working their day jobs, and devote evenings and weekends to their joint venture—but say focusing their efforts on the company full time is on the horizon. 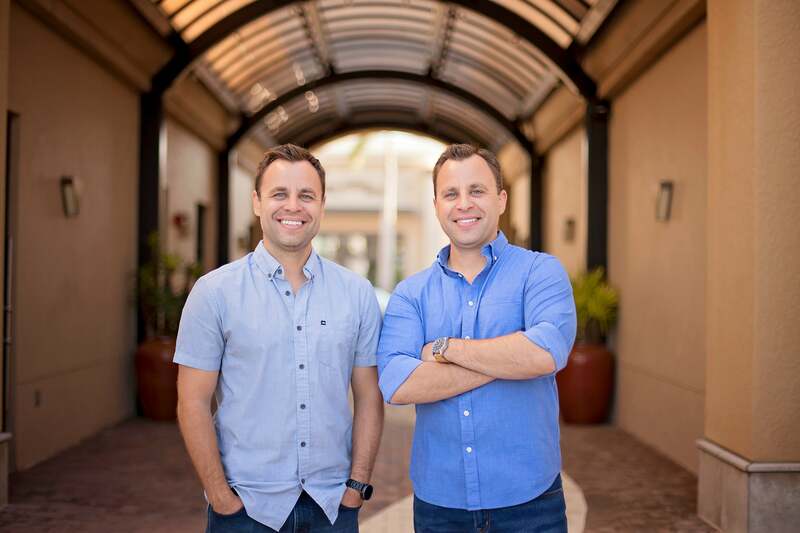 After working in finance, separately, for 13 years, twins Brad and Matt Ruttenberg turned their casual discussions about going into business together into a reality. “After my youngest son was born, I had more of a kick to do something that really mattered to me. I wanted to love what I do,” Brad says. “I trusted Matt and I would make it work, no matter what. So in July 2017, the pair started Ruttenberg & Company, a Florida financial planning firm that focuses on guiding young families in their money matters. Their goal wasn't just to help other families with their finances, however. Starting a company was also a way to find better work-life balance in their own lives, too. This move, of course, was risky—they each had stable jobs—and the beginning was rocky. Brad is more of an analytical, process-driven worker, while Matt is the big-picture guy. Learning to work together, Matt says, was the biggest hurdle to overcome. "We had to meet halfway," Brad says. "It was like learning an entirely new side of my twin brother. I don't think there was any specific moment that it just 'clicked.' It was more just trial and error. [But nearly a year later], we’ve found a great balance. The best part is how we can just be ourselves and shape our companies to match our personalities, our strengths." The twins are currently on pace to hit six figures in revenue for 2018, their first full calendar year in business. They're also launching a second company, The Money Twins, to further help people take control of their finances. And yet, despite their early business successes, they say the biggest payoff has nothing to do with finances: "I went from being away from my wife and kids for 11 hours a day, to working largely from home, spending most lunches with them and having our family gym session every morning," Brad says. "Being able to spend this much time with my kids, all while building two companies with my brother, is an absolute dream come true."